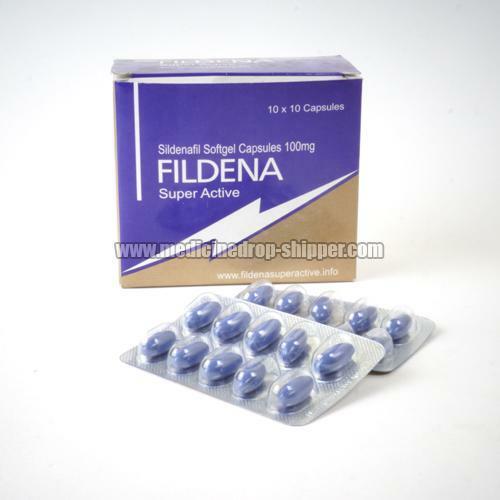 Fildena Super Active is the Soft jell Capsule in the form of Sildenafil Citrate. Fildena Super Active is manufactured by Fortune Pharma. Packaging Details STRIP ARE WRAPPED IN BOWEL PACKS CORRUGATED IN BOXES WRAPPED WITH HARD PLASTIC, WHICH IS 100% WATER PROOF AND SAFE IN TRANSPORTATION.